Offer the world a blue sky. 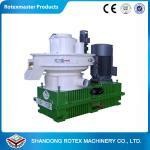 YGKJseries efficient Centrifugal wood pellet machine for is our initiative patented product in China throughmeticulous research and development. 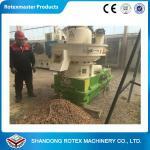 The wood pellet machine absorbed the essence of pellet mill in oversea market, its heart part [double-layer die" has unique structural assembly and `'rollers'' are made by high-abrasion-proof alloy steel and stainless steel, which improves the using life of spare parts greatly. 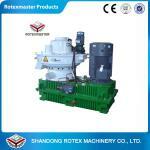 Wood pellet machine grease is injected and filtrated automatically, which can ensure the long time working without stop. It also has dust and cooling system that can reduce the dust during it working and improve the working environment. 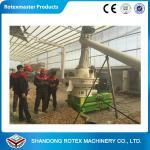 that is used for sawdust, wood shaving, bark,rice husk, stalks, rank grass, EFB, and other crops straw and wood waste. 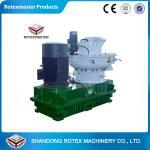 The equipment is widely used in making fuel materials for home use fireplace, power plant, wood processing plant and biomass fuels plant. Strong structure, our biomass wood pellet machine, steel material is bought from Shandong Iron Steel Corp., a famous factory in China.wood pellet machine 5.8t. working no viberation, more safe. 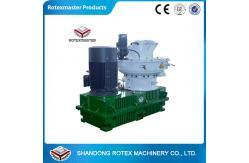 Unique automatic lubricating system: Which lubricate the bearing, dies and rollers, increase the produce efficiency and reduce energy consumption. It can work continuous 20 hours. Reducer: Boneng brand with the longest warranty:18 months. 1. Q: General questions to design the production line for you? 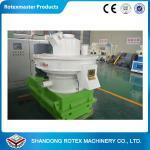 Note: If the moisture is high, you need a dryer, becuase the suitable moisture content to enter hammer mill is 30%. And please provide us above detailed information, then we would design the most suitable production line with reasonble offers. A: 12 months warranty but except quick waering parts.